Turkish President Recep Tayyip Erdogan during an award ceremony in Ankara, Dec. 29, 2016 (Presidential Press Service photo by Yasin Bulbul). 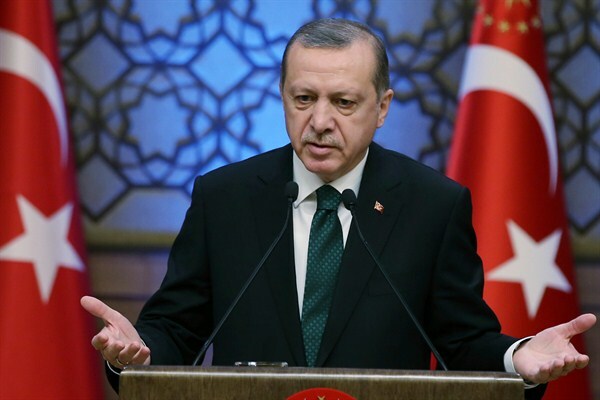 The fall of rebel-held eastern Aleppo in Syria last month was a stunning personal blow for Turkish President Recep Tayyip Erdogan, whose government had openly backed Syrian rebel groups after the civil war began in 2011. Losing the rebels’ self-styled “capital of the revolution” to Syrian President Bashar al-Assad and his allies is an insurmountable setback for years of Turkish regime-change efforts in Syria.